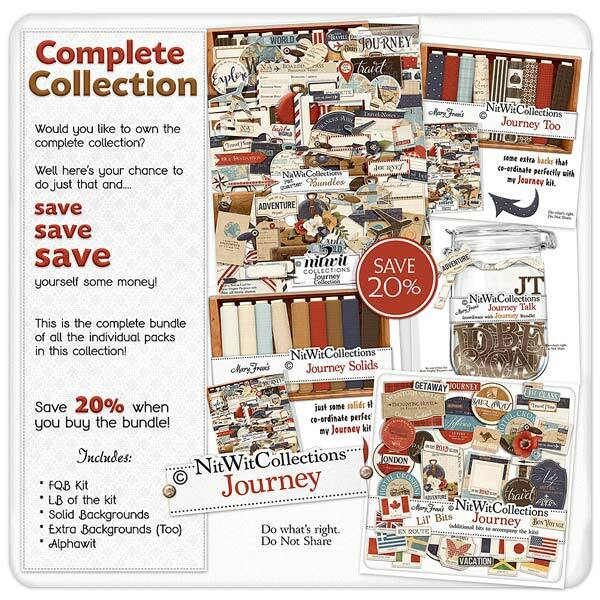 "Journey" Collection takes you over land and sea and lets you capture all that our wonderful world has to offer with this vintage travel digital scrapbook kit and card making kit! This kit offers you so much to capture your memories of that fantastic journey or plan for your upcoming adventure! The continental background papers, the labels, journal cards and worn suitcases all blend seamlessly to inspire you to make remarkable digital scrapbook layouts, mini albums, cards and travel planners. Use this kit to build excitement for your next trip or to recall the emotion you felt during that memorable time in your life.